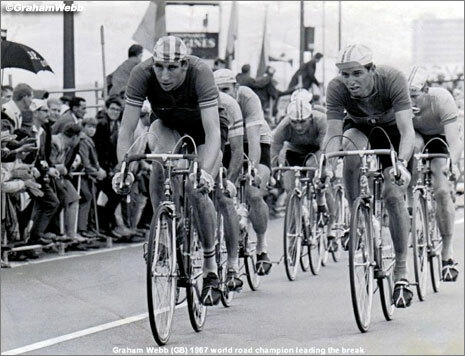 The sad news came through from Belgium on Sunday morning that Graham Webb, British World road champion in 1967, had passed away. Ed Hood interviewed Graham back in 2009. Our condolences go to his family and the many friends and fans he had in the cycling community. A great champion and a wonderful guy. 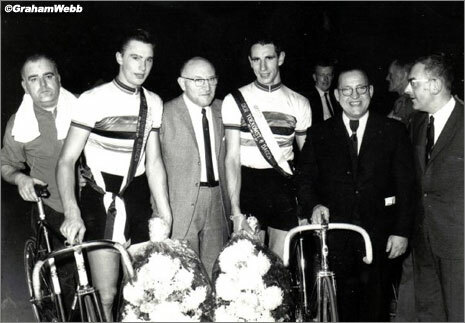 Heerlen, Holland, 1967, there's one mile to race in the amateur road race championships of the world. 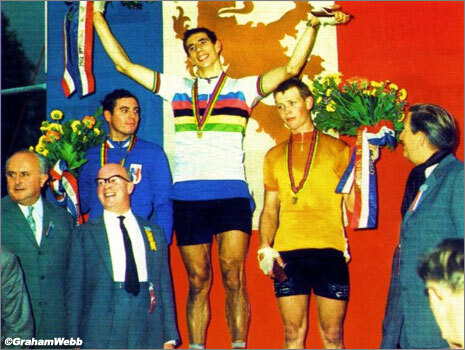 A tall figure in the classic blue and red of Great Britain grabs a gap; behind him, the likes of Rene Pijnen, Roger de Vlaeminck and Jean Pierre Monsere can only watch as Graham Webb snatches the rainbow jersey from under their noses. "I knew if I got the gap, they weren't going to bring me back!" He still rides his bike, follows the sport closely and has opinions on all of the sport's big issues. PEZ: You must have had towering form to win that race, Graham? Graham: I based myself in Holland, that year, I figured that was where the best amateur racing in the world was at the time. I used to ride the criteriums, but set out to lap the field to make it hard for myself - everything was geared towards winning the Worlds. I was regularly doing 200 kilometres in training; the race was no problem. I'd decided with 100 kilometres to go, if I was there at the finish, that corner with 1500 metres to go, was where I was going to go. I just looked at them and cleared off, I knew that if I got a gap of even one metre, they weren't going to bring me back - I could ride a couple of kilometres at over 60 kph and no one could get me back. PEZ: You won the Gent amateur six in '67 too. Graham Webb: In those days, if you won the world title, you had to stay amateur until January, so I had to ride the amateur six. The track management made me ride training races on the two Wednesdays before the six, to prove that I could ride the track - there was a 20 kilometre madison both weeks and I won them both by four laps. The rider I rode the six with, Daniel Goens, was a good rider - he was second in the Worlds and third in the Olympic tandem - but he was an emotional character; the stress and nerves used to get to him and I'd have to talk to him in the dressing room, to calm him down, every night, before the racing. PEZ: You turned pro for '68 but it didn't go well. I busted my knee at the start of the season and didn't get results; the team (Mercier) stopped paying me and despite the fact that I came back to form and won four pro races, later in the season, I couldn't live on fresh air. All I had to live on was what I was winning in prizes and a bit of start money. A lot of other pros at the time weren't sustaining themselves financially but were getting money from their supporters club or their wife was working. To me that was cowardly - you're not a pro if you can't support yourself from your salary and winnings, are you? I was in debt and had no choice but to get a job. PEZ: Why did you stay in Flanders and not come back to England? The real reason was that I had such a terrible childhood, I was treated poorly and lived in poverty, there were nothing but sad memories for me back there; I still feel like that if I come back - I'm always glad to get back to Flanders. PEZ: Why is Flanders so special? 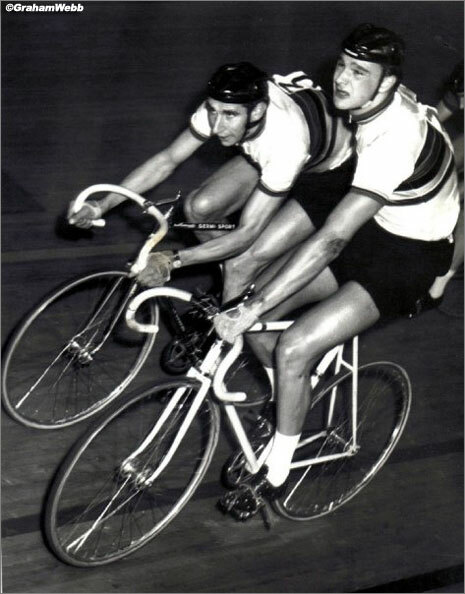 Back then, you could race every day, if you weren't going well, you could just pack and race next day - if you got to a certain level as an amateur, you could live off the prizes. In England at that time, you got a voucher for bicycle equipment. The people are so warm, open, friendly, bike minded - and I love the Flemish sayings. I believe that Gent is still the only city in the world with it's own dialect - when I first got here, practically every village had its own dialect. PEZ: After you quit as a pro, it was many years before you came back as a successful veteran racer - did you keep abreast of the sport? No, not at all. I think that's a common thing if you've been a good riders, when you're finished, you're no longer interested; one year, the Tour passed my front door and I didn't watch. I decided to come back because I was getting flabby - no muscles! I have a cabin, down in the woods in Luxembourg - not far from where Charly Gaul's cabin is - I used to go for 40 mile walks down there, I took my dog with me - he hated me! I rode well in the vets, but had to give it up due to a heart problem. 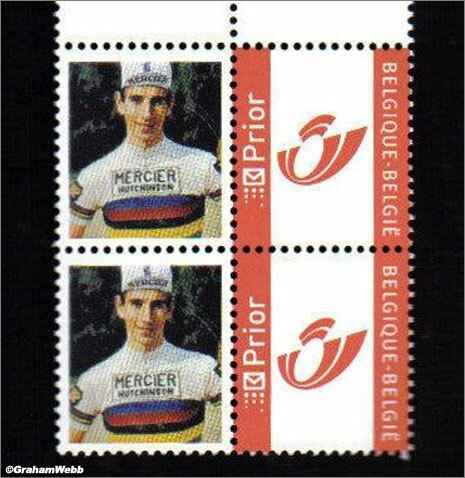 PEZ: Is cycling still as big in Flanders as it was in the 60's? 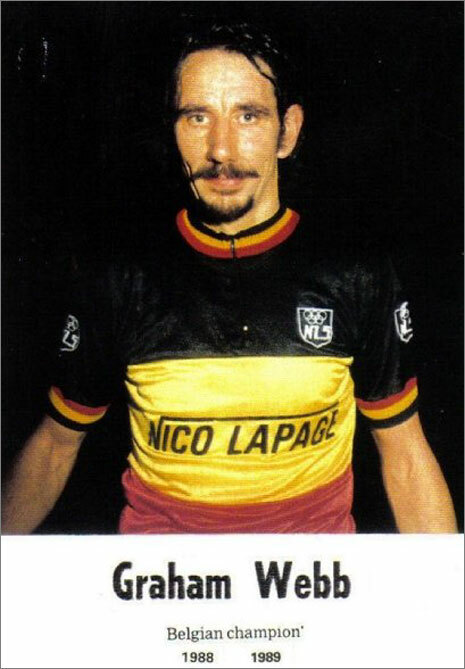 In the 80's soccer took hold, but I think that recently cycling has come back in a big way - you only have to look at the Tour of Flanders, the crowds are unbelievable. PEZ: Is Flanders still the place to come as a young rider? The world is shrinking, but it's certainly still one of the best places in the world. Robbie McEwen was based here, Tyler Farrar lives here - it's not just the racing, it's the fact that it's central in Europe; that was one of the reasons that I settled here. PEZ: Did you ever consider putting all your knowledge to use in coaching or management? In 1986, an English lad from Lincoln, Stuart Marshall, won the world junior cyclo-cross championship. I had the race on video tape from Flemish TV and somehow, the head man in British Cycling, Ian Emmerson - who was also from Lincoln - heard I had the tape and asked if he could get a copy. We got to talking and I said that I'd be happy to have riders come over, stay with me in Gent and look after them. Emmerson said that he'd get the guy that was running things on the race front, Jim Hendry, to get in touch - I never heard a thing. I thought if they could ignore an offer like that then, sod them! PEZ: Pro race organisers are suffering because pros get such big salaries and don't get excited about start money. Maybe it's not so good for the organisers, but it's good for the riders! You have to have decent money coming in to be relaxed about a bad week or a bad month. It's an expensive life - you need good food, a good masseur and a good mechanic. When I was a pro, I was sitting up 'til midnight, the night before races to get my bike ready for the next day's kermesse - cleaning it, fixing tubs. PEZ: What's your take on Team Sky? I think there's too much money floating around and I don't think it will last very long - Sky will get their publicity and then pull out. Bradley Wiggins surprised a lot of people with fourth in the Tour, I don't know if he can win it; but I think a podium place is a possibility. Some people have, but I think that a lot of people haven't, although they'll support him as long as he wins races - but the affection is not the same as it was. He organised a celebrity cyclo-cross recently, it was on TV - I was thinking; 'what's he doing this for, after all the bother he's been in?' But I guess that everyone deserves a second chance. PEZ: Scrapping the pursuit from the Olympics? Why not? It's from the old days,it's not exciting, look at track racing on TV, there's no one there. I think that the Olympic Committee are right to try and make thing more exciting. In the UK in particular, there's too much emphasis on time trialling and pursuiting. If I won a club ten mile time trial, there would be people coming up and congratulating me; but if I won a big road race nobody seemed to care. No, none, why should I? Not many blokes can say they've been world road race champion - nearly every rider in the world would give their life to wear a rainbow jersey. Cycling gave me a different life, a better life. The only regret I have is that I had to stop for financial reasons - when I look now at the Classics, they were made for me! Long, tough races were where I came into my own - I really only get going after 100 kilometres. I could ride a decent pursuit and time trial - I could ride 25 miles in 53 minutes on a a standard road bike, back in the 60's - but my turbo only used to come in after 100 kilometres! 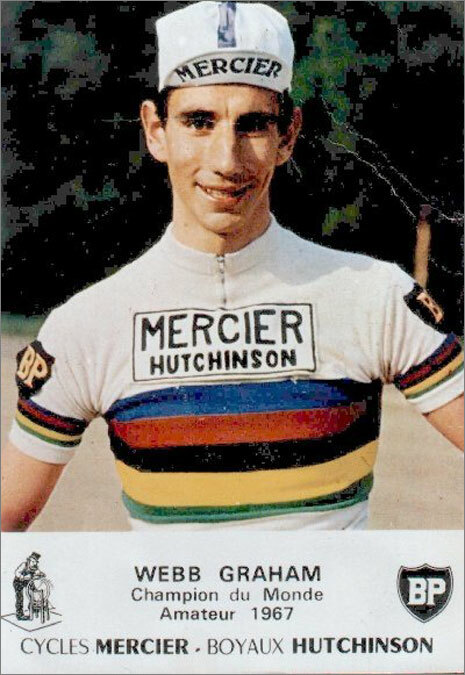 In memory of Graham Webb, his views on the sport back in 2009 - 'Former world road race champion,' yes, it would be nice to have that after your name!